Well I'm not sure it's dead...but it sure seems like its headed in that direction...The tree budded out pretty...tight little pink buds as usual...Then bam...they seemed to shrivel and die...then it appeared as if only half the tree was leafing out...but some of the branches that haven't leafed out aren't brittle yet soooo??? Maybe there is still life in them? What would cause such a sequence of events? I hit the net to find out...plus I'm going to shoot out a email to my fellow Master Gardener's. After some searching on the net...I really don't have a definitive answer. I dont think it's bug damage, as I don't really see any evidence of that no bugs, no holes...nada.. Also the leaves were never really there to turn yellow, and wilt. So is it Verticillium Wilt? I'm not so sure about that...There aren't any cankers or signs of disease soo....???? Hmmmmm. 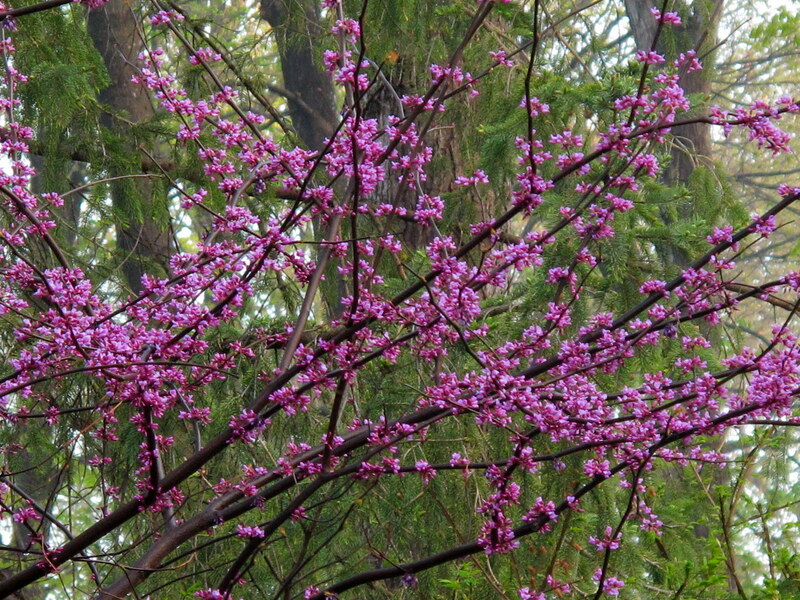 It did seem like the tree budded pink then alot of those buds turned brown and died...so maybe frost got it??? Who knows I'll ask some experts and re- post about this predicament. Give it a shot Mom..